The International Space Station is the longest-running continuously inhabited human outpost in space – this year it celebrated its 15th anniversary. As the ISS orbits the Earth it is essentially in a state of free fall, counteracting the Earth’s gravity and providing an ideal platform for science in space. Science aboard the ISS is decidedly cross-disciplinary, including fields as diverse as microbiology, space science, fundamental physics, human biology, astronomy, meteorology and Earth observation to name a few. But let’s take a look at some of the biggest findings. 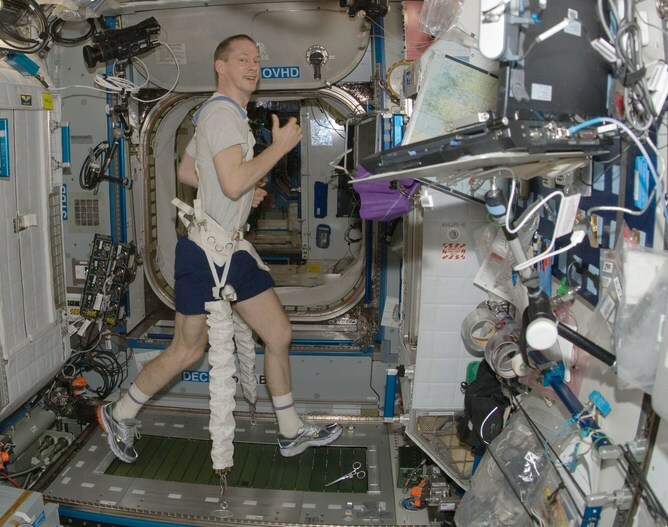 The effects of the space environment on the human body during long duration spaceflight are of significant interest if we want to one day venture far beyond the Earth. A crewed journey to Mars, for example, may take a year, and the same time again for the return leg. Microgravity research on the ISS has demonstrated that the human body would lose considerable bone and muscle mass on such a mission. Mitigation technology, involving the use of resistive exercise devices, has shown that it is possible to substantially alleviate bone and muscle loss. Coupled with other studies into appropriate nutrition and drug use, these investigations may lead to improvements in the treatment of osteoporosis, a condition affecting millions of people across the globe. A long-term goal of many space agencies is to fly humans to Mars. The red planet is of particular interest because it is one of the most accessible locations in which past or present extraterrestrial life may exist. It is imperative, therefore, that we do not inadvertently contaminate Mars with terrestrial organisms. Likewise, we must be careful not to back-contaminate Earth with any possible Martian life forms during a sample return mission. 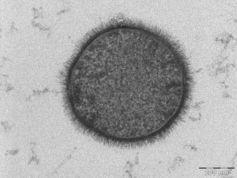 Certain hardy bacterial spores, such as the Bacillus subtilis in the picture were exposed to space aboard the ISS, but shielded from solar UV-radiation, and demonstrated a high survival rate. The space vacuum and temperature extremes alone were not enough to kill them off. These remarkable bugs could be capable of surviving an interplanetary space flight to Mars and live there, under a thin layer of soil, were they to be accidentally deposited by a spacecraft. This finding has huge implications; if microorganisms, or their DNA, can survive interplanetary spaceflight, albeit by natural means, it leaves open the possibility that life on Earth may originally have arrived from Mars, or elsewhere . A key challenge in developing effective medicines is understanding the shape of protein molecules in the human body. Proteins are responsible for a huge range of biological functions, including DNA replication and digestion – and protein crystallography is an essential tool for understanding protein structure. Crystal growth within a fluid on Earth is somewhat inhibited by gravity-driven convection and the settling out of denser particles at the bottom of the fluid vessel. Crystals in a microgravity environment may be grown to much larger sizes than on Earth, enabling easier analysis of their micro-structure. Protein crystals grown on the ISS are being used in the development of new drugs for diseases such as muscular dystrophy and cancer. Space is permeated by a constant flux of energetic charged particles called cosmic rays. When cosmic rays encounter the Earth’s atmosphere they disintegrate, producing a shower of secondary particles which can be detected at ground level. Some cosmic rays may emanate from explosive events such as supernovae or, closer to home, flares on our own sun. But in many cases their source is unknown. In order to better understand these enigmatic particles, we need to catch them before they reach the atmosphere. Mounted on the ISS is the Alpha Magnetic Spectrometer (AMS), the most sensitive particle detector ever launched into space. This device collects cosmic rays and measures both their energy and incoming direction. In 2013, early results showed that cosmic ray electrons and their anti-matter counterparts, positrons, emanated from all directions in space, rather than from specific locations. Approximately one quarter of the mass-energy of the universe is believed to be comprised of dark matter, a substance of unknown composition, which may be a source of cosmic rays. The theorised presence of dark matter envisages a halo of the material surrounding the Milky Way (and other galaxies), and is thus supported by the isotropic nature of the cosmic ray electrons and positrons detected by AMS, essentially coming at us from all directions in space. It has never been detected directly and it’s true nature is one of the greatest unanswered questions in modern astrophysics. Deliberately starting a fire on an orbital space station does not sound, initially, like a good idea. It turns out, however, that the physics of flames in microgravity is quite interesting. The flame extinguishment study is an understandably carefully designed facility whereby tiny droplets of fuel, which form into spheres under microgravity, are ignited. Flames on Earth assume their familiar shape because gravity-driven convection results in an updraught of air, drawing the burning mixture of fuel and gas upwards. In microgravity there is no updraught and so a flame assumes a diffuse spherical shape around the combustion source. Further, the yellow colour of a flame is produced by the incandescence of tiny soot particles. Soot forms from incomplete burning of the fuel and is a pollutant. In microgravity, the combustion of a fuel is more complete and hence more efficient. A candle flame that would appear yellow on Earth, actually burns with a blue colour in microgravity and produces much less smoke. This kind of research enables the study of soot formation processes which has negative impacts on the environment and human health, and how droplets of fuel in a combustion engine transition from a liquid to a gas as they burn. This may one day lead to more efficient designs for combustion engines on Earth.